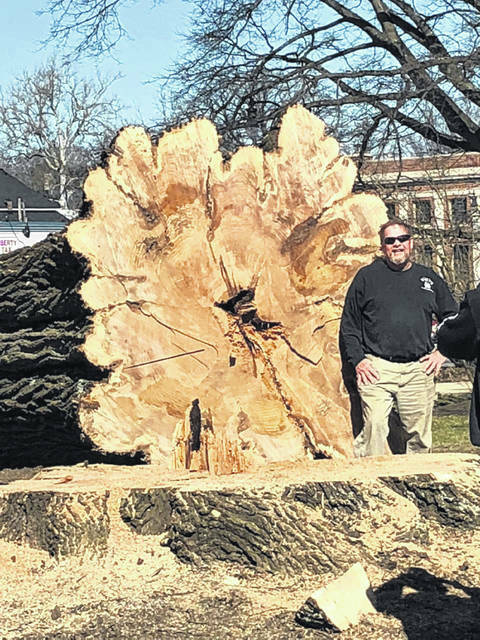 Taking a little off the top before taking the historic tree down at the Clinton County Courthouse on Saturday. 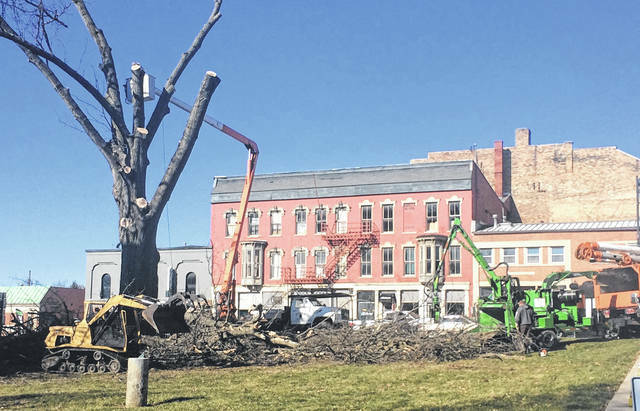 Workers dispose of branches cut off the historic tree at the Clinton County Courthouse on Saturday. The “Washington Oak” was planted there in 1920 and lasted nearly 100 years. 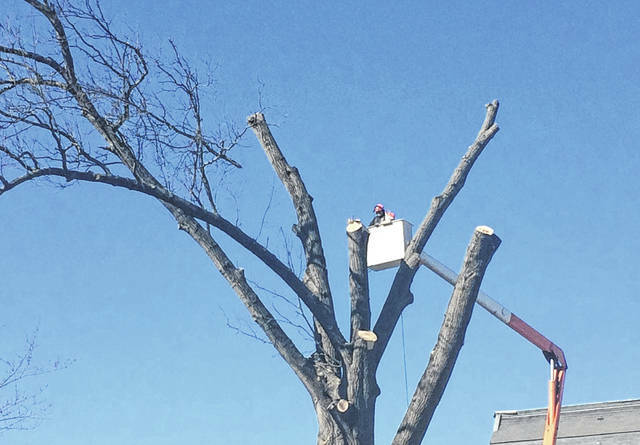 A November storm brought down part of the tree, and two experts agreed that what remained was unsafe and had to come down. Showing the perspective of just how big the tree’s trunk was.